The Chairman of the Restaurant Owners’ Association of Sri Lanka Asela Sampath has resigned from his post as the chairman. Holding a press conference, he stated that he has resigned due to the death threats he had allegedly been receiving. 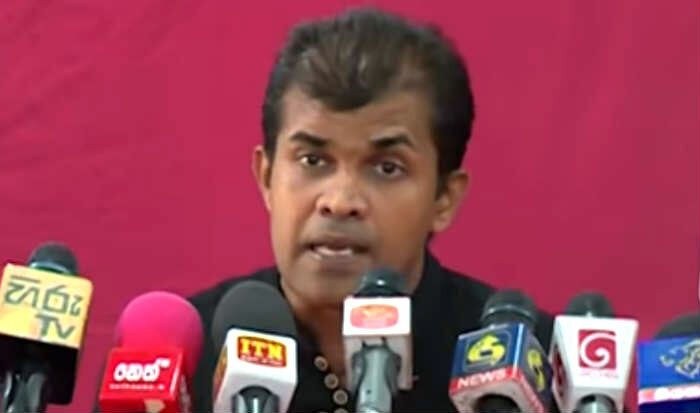 He says that certain parties acted against him after his association, too, attempted to cut down the food prices following the decrease of food prices during the days Mahinda Rajapaksa held the premiership. The Consumer Authority earns annual revenue of Rs 90 million by imposing fines on restaurants and hotels, according to him. He says that actions are taken against them as the government had lost the revenue from fines when his association intervened and renovated the hotels.